» PJ Masks Coming to the Palace: Special Discount Code! 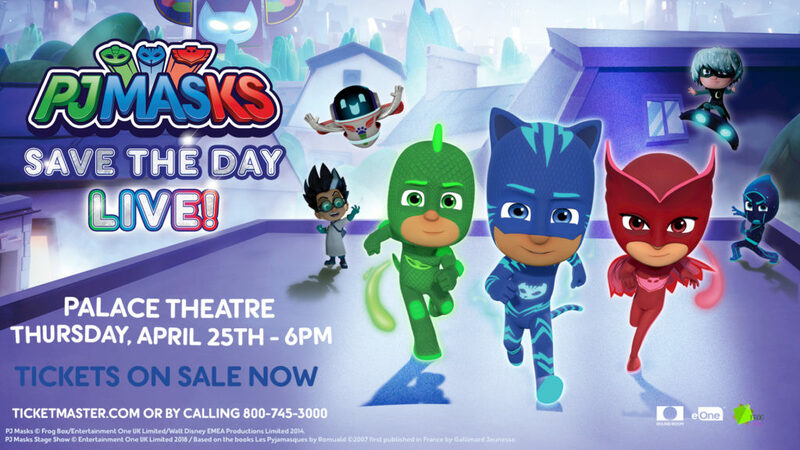 Home » Coupon » PJ Masks Coming to the Palace: Special Discount Code! For my readers, the Palace is offering a special discount code available on ticket purchases starting TODAY, Tuesday, March 26th at 12 Noon! The discount code will expire on Friday, March 29th at 10 PM. The discount code will get you $15 off the select tickets! Use code FIND at checkout for the discount! Order tickets HERE today. This entry was posted in Coupon, Events, Kids, Online Deals and tagged kids, Palace Theater, PJ Masks. Bookmark the permalink.